Are you ready to help your kids think about and learn math with a growth mindset? By teaching your students to embrace mistakes as learning opportunities, persevere through challenging problems, and focus on growth over final results, you are empowering them to excel inside and outside of the classroom. Achieving a growth mindset requires a purposeful and well-planned strategy to ensure that your students consistently hear the right messages, receive meaningful feedback, and engage in learning opportunities that help develop this new way of thinking. Fortunately, there are plenty of resources to help you create a classroom environment that supports learning with a growth mindset. 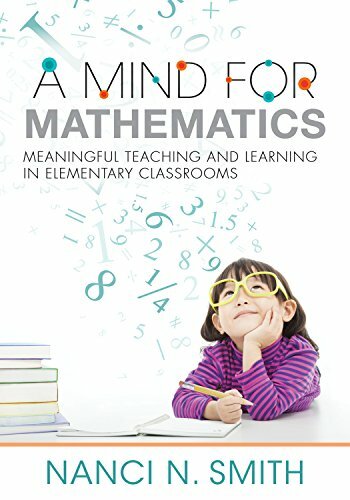 Whether you teach elementary, middle, or high school math students, the following books will give you all the tools you need to start changing students' attitudes and mindsets for learning and making math more open and exciting for every child. Summary: After decades of research, world-renowned Stanford University psychologist Carol S. Dweck, Ph.D., discovered a simple but groundbreaking idea: the power of mindset. In this brilliant book, she shows how success in school, work, sports, the arts, and almost every area of human endeavor can be dramatically influenced by how we think about our talents and abilities. People with a fixed mindset—those who believe that abilities are fixed—are less likely to flourish than those with a growth mindset—those who believe that abilities can be developed. Mindset reveals how great parents, teachers, managers, and athletes can put this idea to use to foster outstanding accomplishment. 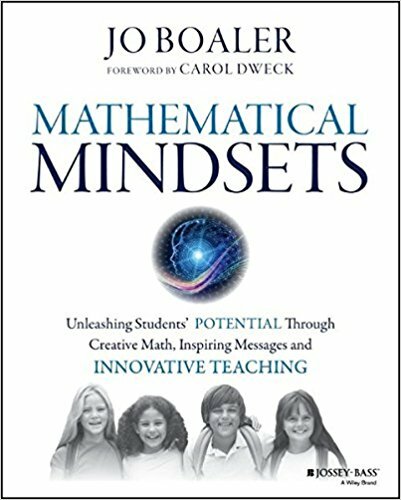 Summary: Mathematical Mindsets provides practical strategies and activities to help teachers and parents show all children, even those who are convinced that they are bad at math, that they can enjoy and succeed in math. Jo Boaler—Stanford researcher, professor of math education, and expert on math learning—has studied why students don't like math and often fail in math classes. She's followed thousands of students through middle and high schools to study how they learn and to find the most effective ways to unleash the math potential in all students. 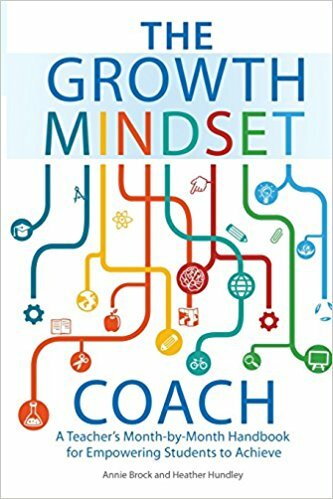 Summary: The Growth Mindset Coach is a complete and easy-to-follow guide for inspiring every student with the power of a growth mindset Created by teachers for teachers, this is the ultimate guide for unleashing students’ potential through creative lessons, empowering messages and innovative teaching. The Growth Mindset Coach provides all you need to foster a growth mindset classroom, including a month-by-month program, research-based activities, hands-on lesson plans, real-life educator stories, constructive feedback, and sample parent letters. Looking for fun ways to get your kids WRITING about math? Summary: What does it take to be a good mathematics teacher who actively engages students and addresses learning differences? Gain a mental picture of an effective mathematics learning environment and why it must be founded on growth mindset principles. This easy-to-read text breaks down the complex components of mathematics teaching and divides them into practical strategies. Combining mathematics research, useful tactics, and examples from K–6 classrooms, the book includes reflection questions, action tasks, and activities to inspire and engage mathematical minds. Summary: Nurturing a growth mindset with your kids starts with sharing the right messages every day. 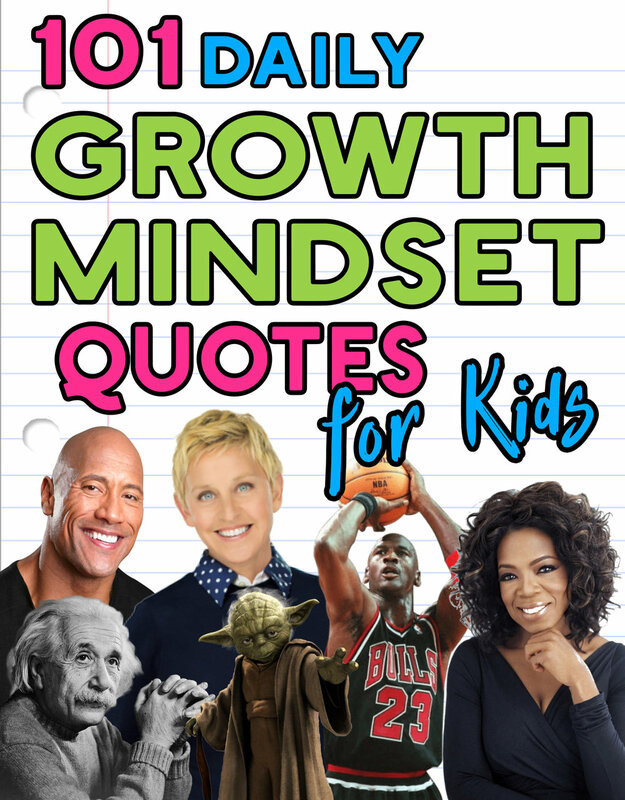 This PDF eBook shares 101 growth mindset quote graphics that will give your kids a daily reminder that mistakes are the stepping stones along the path to success, with motivational quotes by individuals including Albert Einstein, Michael Jordan, J.K. Rowling, Ellen DeGeneres, Barack Obama, Thomas Edison, Taylor Swift, Kid President, and many more! Each quote is displayed on a full-page graphic that is meant to be printed and/or displayed in your classroom--they are perfect for sparking open discussions and for Growth Mindset bulletin boards. You can learn more by clicking here. 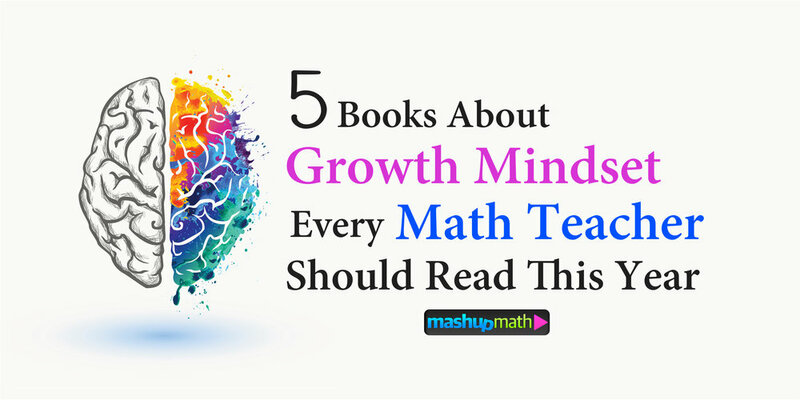 Have more growth mindset book suggestions for your fellow math teachers? Join the conversation and share yours in the comments section below.